Our Gator Give Project this year during football season will be Anna's Closet. Anna's Closet began as a way to put a smile on the face of a teen going through cancer treatment. The closet provides small teen gifts, giving patients a "prize" for every poke they receive in the cancer/blood disorder clinics. There are three closets here in San Antonio: Childrens Hospital of SA, Methodist Childrens Hospital and Hematology/Oncology Clinic in Childrens Health. We will collect items at each Watch Party. 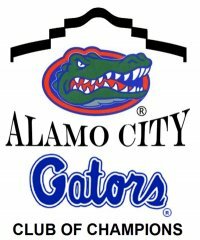 We hope you will support our Gator Give Project! For a complete list click below and scroll to the bottom of the page.